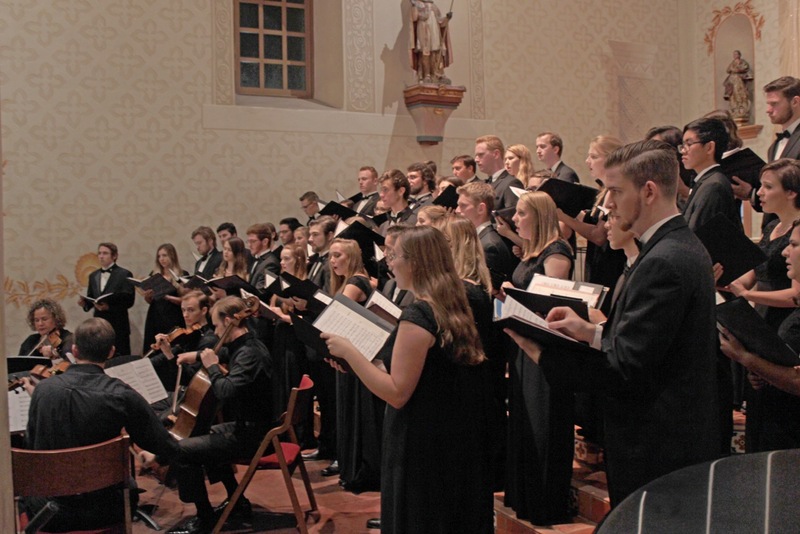 SAN LUIS OBISPO — Cal Poly’s 2018-19 large choral ensembles will be introduced in a concert featuring a variety of styles at 8 p.m. Saturday, Oct. 27, in the historic Mission San Luis Obispo de Tolosa. PolyPhonics and the University Singers will present a fall concert titled “Luminous Night of the Soul,” which is intended to showcase the talent of the Cal Poly vocal program and give listeners a taste of the year to come. The University Singers will open the program incorporating both traditional and modern works. The choir will perform a portion of the well-known “Solemn Vespers” by Wolfgang Amadeus Mozart, as well as modern works by Craig Hella Johnson and Gwyneth Walker. In addition to the choral performances will be several vocal solos which will highlight the diversity and skill of the department’s student vocalists. Paul Woodring is the accompanist for the choirs. Director of Choral Activities Scott Glysson conducts the choirs. Glysson recently returned from a trip to Kenya, where he conducted the Nairobi Women’s Chorus. Tickets are $14 for the public and $9 for students. Tickets are sold at the Cal Poly Ticket Office between noon and 6 p.m. on Monday through Saturday. To order by phone, call SLO-4TIX (756-4849). Tickets will also be sold at the door the night of the concert.